It’s 6:15 am and I’m not still up from a late night. No. I woke up at 5:30 a.m (had something in my eye, ouch) and decided to try something new. So I quickly put on some clothes and went out for a brisk walk. I went out my apartment area and up about a block and back, just a 15-minute brisk walk, but it’s now 7:15 am and I’m fairly wide awake, did my exercises (20 pushups, 23 crunches) and a walk, and am off to start work (and play) for the day with a glass of orange juice and cold water in front of me. Now, the question is, will I be able to do these early morning brisk walks/jogs every day? And more importantly, will they give me the much needed energy that I seek so badly? I have kept up with my daily routine of 20 pushups, 23 crunches, 3 glasses of water, and 2 fruits or vegetables a day though. Going on around 3 months I believe (I have the logs in my hallway). I haven’t noticed any direct affect from them yet but hopefully if I keep at it and keep slowly adding to them I will. I’ll do anything to get me energy. Energy = focus and foocus = money. Money money money. As of this moment, PublisherForums has 765 posts and 82 members, compared to 43 members and 232 posts nearly a month ago. I consider the growth very good considering I haven’t held a contest or started to advertise it yet. It’s spreading by word-of-mouth, me mentioning it here on my blog, signatures from my posts in various webmaster forums, and by a couple plugs by some collegues (Thanks Anthony and j0n, although you could put it back up on CWD.. :P). The thing I like about not holding a contest is that people come to the site not to win a contest, but to really contribute meaningfully or to read and learn. Members like the site because of it’s sharp, professional, yet pleasing design as well as the content which is very good. This was the plan. I’ve already signed my first private advertiser. $10. I’m rich! Haha. Hey, it always starts at $10… oh, and don’t worry about getting too many ads on there. It won’t be anything like PFO. It will remain clean and crisp as it is now. All the ad slots you see now are most likely going to be the only ads slots ever on the site. I’m looking to start advertising PublisherForums.com now. If you have a webmaster related site, I’m interested in buying some advertising on it. I’m interested in any kind of site, with any traffic, as long as the site isn’t brand new and you have no plans on selling it (at least anytime soon). I’m willing to pay for 6 or even 12 months up front. Please note that while I’m looking to advertise on any site, that my offer will vary greatly depending on your site/exposure. If you are interested, please MSN me at twcruz@hotmail.com. 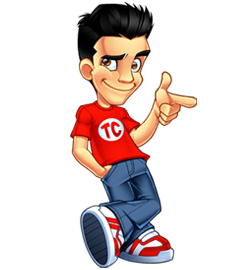 Please have ready your site traffic (preferably with screenshots) and a price you want. Also, just a warning but I may be cheap – so just be prepared for that. I’m also looking to advertise on blogs… anything webmaster related. PublisherSpot’s programming is 100% complete. Now all that’s needed is a skin for the site, so I’ll have to do some hunting for a good designer. I’m going to be hiring from a company this time or a freelancer with a nice site and portfolio and such. That means I’ll have to write another descriptive project description, which typically takes me a couple of hours when focused, but it tells exactly what I want. Then I’ll have to hunt down somebody.. but the good news is that I’ll only need a PSD mockup; Zeeshan will code the HTML and CSS for me, and I wouldn’t trust anyone more than Zeeshan in being clean and valid 🙂 Makes it easier on the designer too — he can focus on the design and not worry about having to code it. I hope to find somebody within a week. Glad to see another update, Tyler. 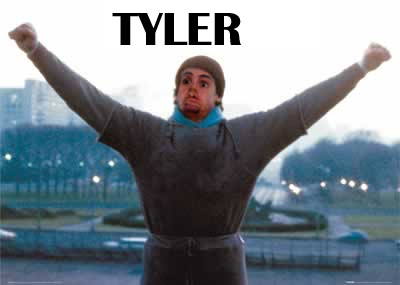 I simply love the Tyler-Rocky picture. I can’t wait till Publisherspot is finished. Keep it up! The banners look great. One Publisher Forums gets more content, the design alone will attract people to post. Haha, contradictory — why would it need more content if people will post based on design alone? Hehe, just buggin’.